It is important to remember that mineral extraction requires a prior environmental license. 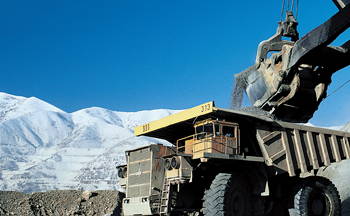 We provide specialized legal advice to the mining sector, particularly for negotiating and drafting contracts for purchasing, assigning and transferring mineral rights. Brazil has some of the world’s largest mineral deposits and is a leading mineral producer and exporter. From 2001 to 2011, Brazilian mineral production registered a 550% increase, from US$7.7 billion to US$50 billion. Studies show that Brazil’s mineral production will continue to rise at an annual rate of 10-15% over the next three years. In 2010, the National Department for Mineral Production (DNPM), a federal agency linked to the Ministry of Mines and Energy, listed 7,809 operational companies in its Annual Mining Report. The Brazilian government oversees the DNPM’s exploration and use of soil. According to Brazilian law, mineral resources belong solely to the federal government, and may only be used by authorization, concession, license or permit. A research permit is granted for a three-year period, generally renewable only once. During this period, the investigating party must complete all technical tasks aimed at determining the extent of the deposit, evaluate resources and study technical/economic feasibility. After completing its study, the researcher must present DNPM with a final report addressing these points. If the report concludes the existence of a deposit with technical/economical feasibility for exploitation and the report is approved by the DNPM, the investigating party may apply for a mining concession to be reviewed by the Ministry of Mines and Energy, which will receive DNPM’s opinion before deciding to award the concession. A mining concession is granted without a specific duration, and shall remain in effect until resources are exhausted. The concessionaire is allowed to use the mine in accordance with the mining plan, and will have ownership over mine production. As compared to research permits, mining concessions may not be granted to individuals. In addition, the concessionaire must be a company incorporated based on Brazilian law, with its headquarters and management in the country and with mining as its stated corporate purpose. No restriction exists regarding the nationality of the concessionaire’s shareholders or capital. Other systems allow for mineral licensing, which apply in limited cases, such as small- scale mining and mining of substances for immediate use in construction. It is important to remember that mineral extraction requires a prior environmental license. Licensing procedures serve as an important instrument for assisting in protecting the environment. State agencies may issue environmental licenses, as may (under exceptional circumstances) the Federal Environmental Agency or municipal agencies.